SEATING IS LIMITED, ENROLL NOW for the upcoming Micro-Enterprise class starting Saturday, October 1st, thru October 22nd 2016, from 8:30am – 12:00pm. 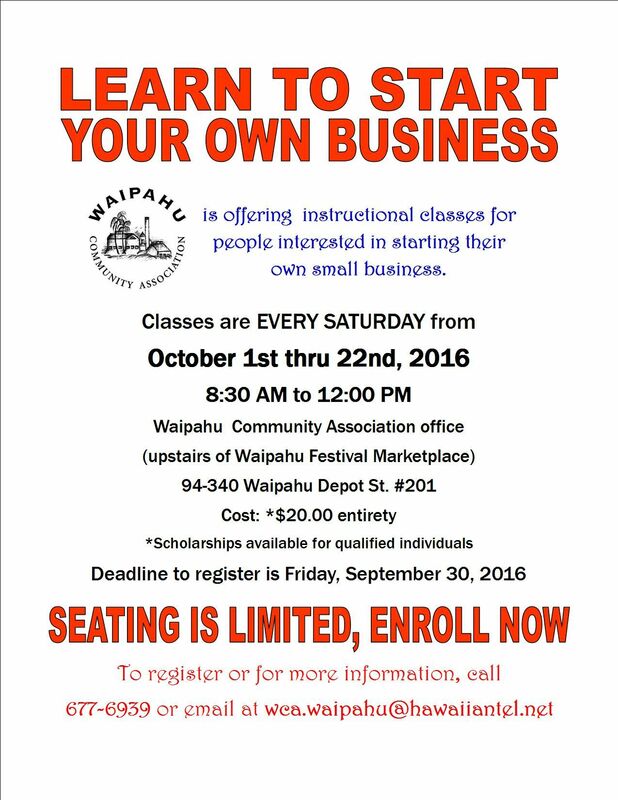 Classes will be held at the Waipahu Community Association office located on the 2nd floor of the Waipahu Festival Marketplace. Deadline to register is Friday, September 30th, 2016. Click on the links below for the Frequently asked questions and the application. Please call our office if you have any questions 677-6939.